Sticking to the same old marketing techniques can get dull and boring after a while. If you really want your brand to stand out, it’s time to do something different. Taking risks in the marketing world is the way to get noticed and to be remembered. So, what will make your brand stand out in the crowd? Bike billboards. Not only are bike billboards different and unique, but they capture the attention of those passing by through the simplicity of movement. It’s the exposure of a billboard without the long-term commitment and high cost! Not to mention the engaging brand ambassadors that will be riding around with your signage, ready to educate those passing by on your message. 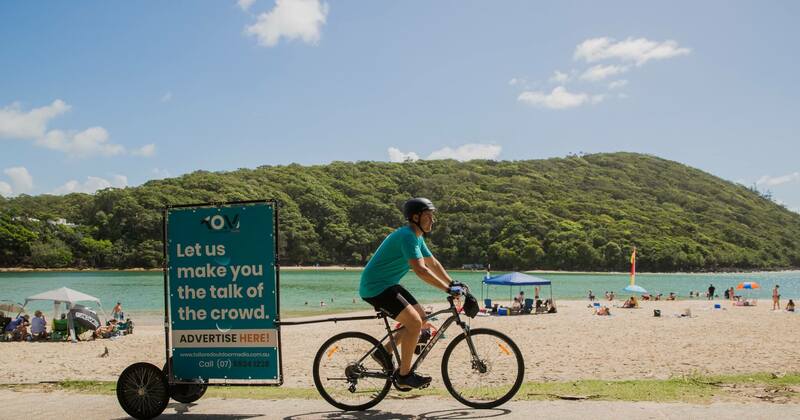 If you want to stand out in the crowd, you’ve got to try bike billboards. Get in touch today to try something new for your brand!